Don't Sleep on this Tremendous Opportunity! Last year, average dispensary sales around the high holiday experienced a 51% increase, beating 2017’s numbers by an impressive 30 %. If you want to get in on this year’s biggest shopping weekend, preparation, planning, and starting earlier rather than later are the keys to a successful 420. How to create excitement, anticipation, and a FOMO aura around your dispensary’s celebration. What you can do to ensure your inventory management and sales systems can handle the increased volume. Ideas on how to stand apart from the sea of cannabis specials with crowd-drawing ideas and tips. 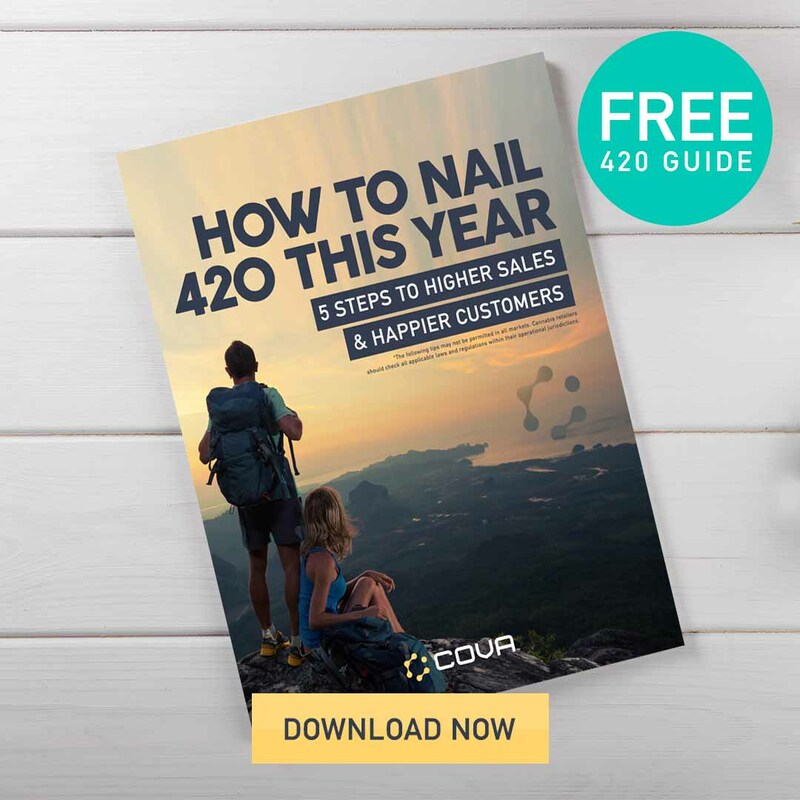 Download our guide, prepare your store for the big day now and put yourself in a better position to succeed on 420. Happy reading!